NCTE honored SCTE with the 2016 Kent D. Williamson Affiliate Membership Award for membership growth this past year. With the annual CATE Convention held in Orange County – SCTE territory – we welcomed many new CATE/SCTE members to our ranks, and both organizations were recognized for membership growth during the year. 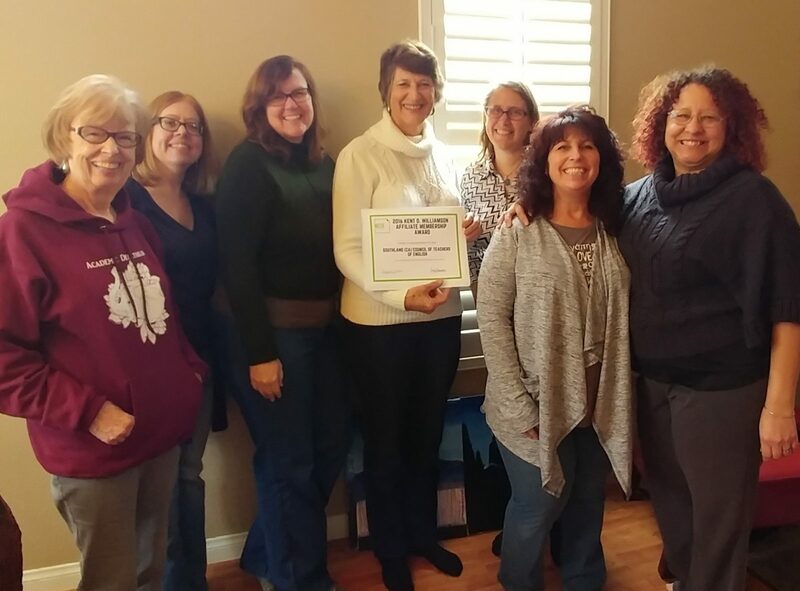 Celebrating the award are board members: Joanne Fahey, Mary Adler, Tracy Sprague, Courtney Lockwood, Jennifer Collison, Randi Seligson, and April Parker, who met for the January 7 SCTE board meeting.